If you can answer the following questions with ease you most likely have an adequate knowledge of poker mathematics, if not we recommend that you start reading our articles on poker mathematics. • What are pot odds? • How do you calculate the probability that your hand will win the pot? • What should the relationship be between the pot odds and the probability that your hand will win the pot for you to win in the long run? • What is the probability of hitting a set on the flop if you have a pocket pair preflop? • What is the probability of hitting a flush on the turn and river if you only need one more card to your flush? • What is the probability of hitting a straight on the turn and river if you have an open ended straight draw on the flop? 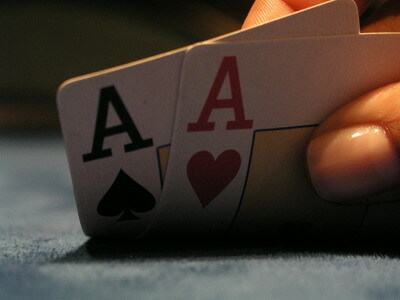 • What is the probability of hitting two pairs on the flop if you have two unpaired cards preflop? If you want to make money playing poker you will play thousands of hands every month and have to know the mathematics behind the game. 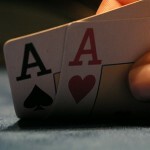 We want to collect good articles about Poker mathematics on this page. If you want to contribute to the collection of Poker Mathematics articles we offer you the possibility of posting your own articles on this site. And more…follow this link to see all articles about Poker Mathematics.